Paige Denim "Hoxton" in Mona 10oz dark-wash stretch-denim. Approx. measurements: 10" rise; 30" inseam; 39" outseam. Featuring Transcend fiber technology for a soft feel. Five pocket style; logo patch at back waist. Rise sits slightly below natural waist. Fitted through ultra skinny legs. Born and raised in Los Angeles, PAIGE is a California lifestyle collection for men offering denim, twills, sweaters, outerwear, shirting and much more. Known for our considered and refined details, PAIGE has grown into a design powerhouse offering styles that reflect our dedication to the craft. We use only the finest fabrics and materials, and each design is infused with thought out and considered elements. PAIGE's lifestyle collection is created with commitment to quality, versatility, comfort and cutting edge design above all else. 7 For All Mankind "Luxe Vintage" jeans in vintage-wash stretch denim. Approx. 10" rise; 30" inseam; 10" leg opening. Five-pocket style. Fitted through skinny legs. Cropped at ankles. Button/zip fly; belt loops. Cotton/modal/elasterell p/spandex. Machine wash. Made in Mexico. 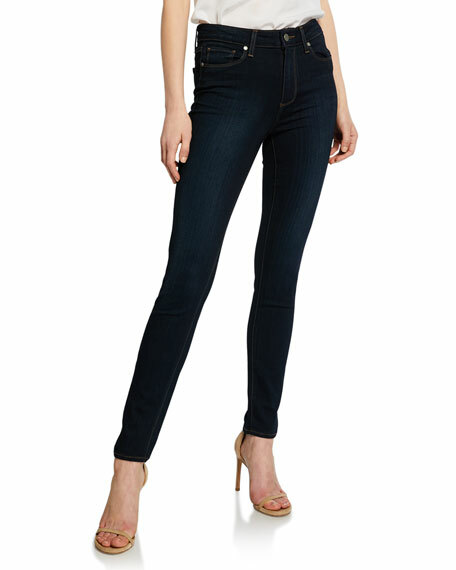 Black Orchid "Noah" jeans in stretch-denim with star details along the sides. Approx. measurements: 9" rise; 27.5" inseam; 10" leg opening. Mid-rise; belt loops. Five-pocket style. Fitted through skinny legs. Cropped at ankles. Raw-edge hem. Button/zip fly. Cotton/polyester/spandex. Made in Mexico. DL1961 Premium Denim "Florence" jeans in stretch-denim with ombre effect. Approx. 9" rise; 28" inseam; 9.5" leg opening. Five-pocket style. 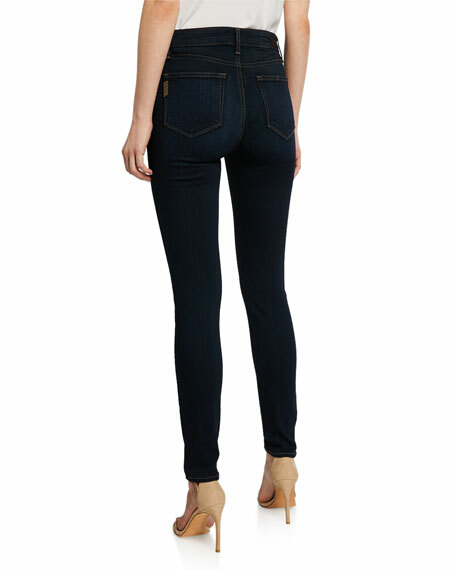 DL1961 Premium Denim "Florence" jeans in stretch-denim with ombre effect. Approx. 9" rise; 28" inseam; 9.5" leg opening. Five-pocket style. Mid-rise; belt loops. Fitted through skinny legs. Cropped above ankles. Frayed hem. Button/zip fly. Cotton/polyester/Lycra® spandex. Imported.